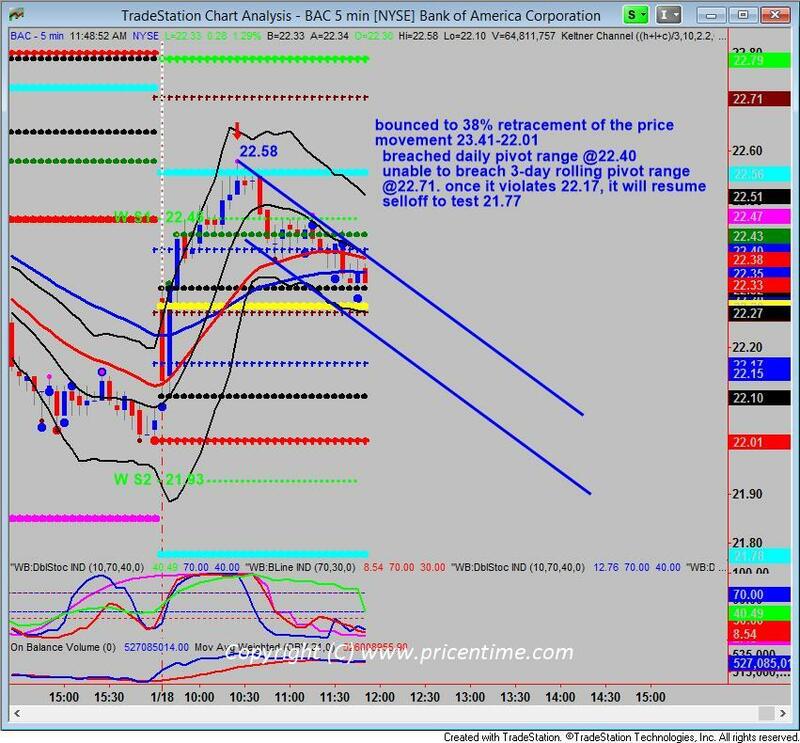 BAC bounced to 22.58 to meet resistance at R1 and 38% retracement of the swing from 23.41-22.01. It breached daily pivot range high at 22.40, but was unable to breach 3-day rolling pivot range high at 22.71. Once it violates 22.17 to the downside, it will resume selloff to test 21.77. If it can’t take out 21.77, it just means BAC is taking a break on the downside.It by no means produced a bullish posture. This entry was posted	on Wednesday, January 18th, 2017 at 11:58 am	and is filed under Hot Stocks, Trade Recommendation. You can follow any responses to this entry through the RSS 2.0 feed. Responses are currently closed, but you can trackback from your own site.